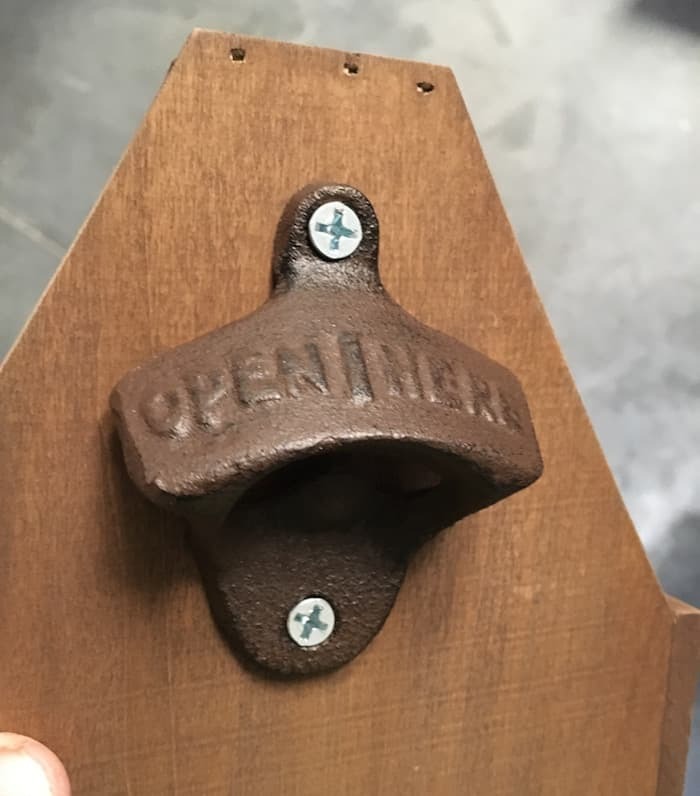 Learn how to make a DIY wooden beer caddy with a bottle opener using these plans. This beer carrier has a bottle opener on the side . . . and makes the perfect gift! Skills Required: Intermediate Beginner. You should have some experience with the tools required. Most of it is cutting straight lines, however, you’ll have to shape a handle. It’s not hard, so if you’re an absolute newbie, just be patient. We aren’t huge beer drinkers around here, but every now and again we enjoy some suds. While I might not be a beer connoisseur, we do have a few in the family. This DIY wooden beer caddy is a great gift for the enthusiasts in your family. We actually made several for gifts but also made one for ourselves to take to parties. 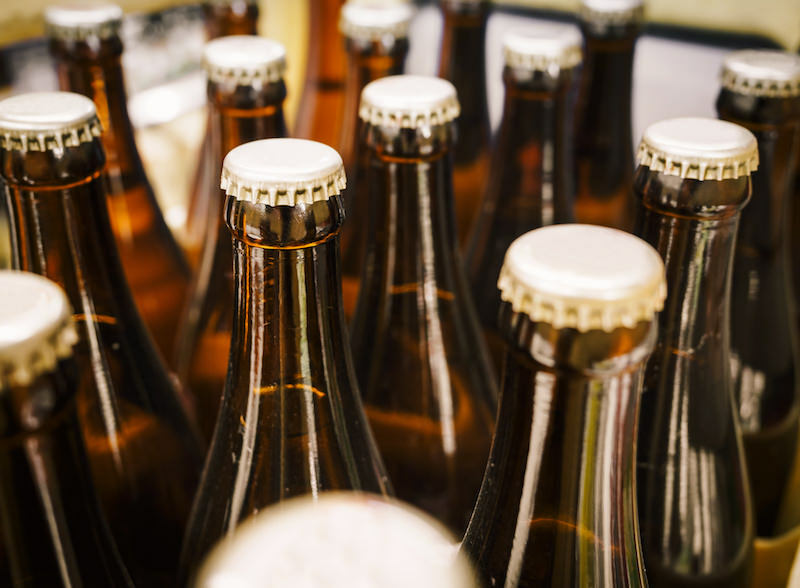 We can put any bottled beverages in it – not just beer! I’ve seen some inexpensive versions of this beer carrier at places like Target, etc. I haven’t been impressed with the construction of the inexpensive versions, and a lot of them don’t have bottle openers. Of course you could add a bottle opener to the cheap version . 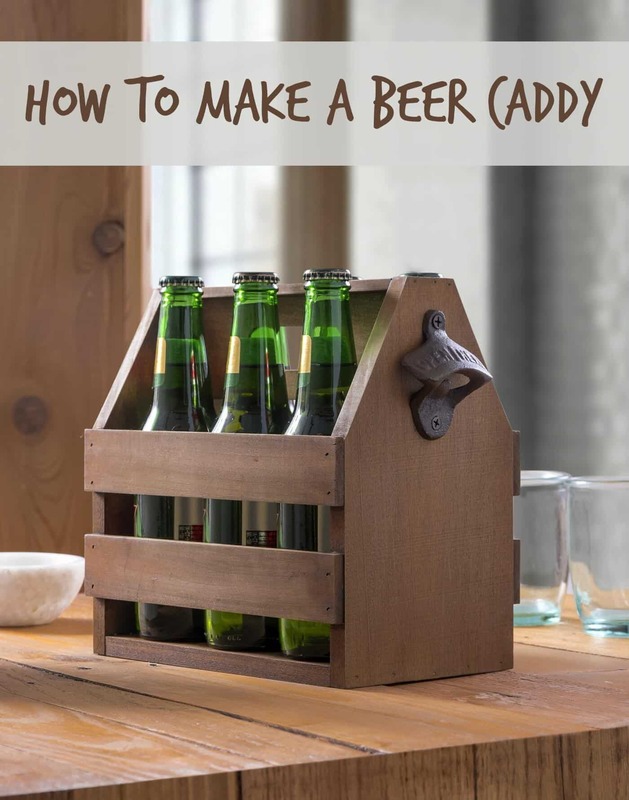 . . but if you enjoying wood working (or even if you’re a beginner), this DIY wooden beer caddy is perfect because you can wrap it up in a nice little bow in an afternoon. And this beer carrier is solid quality for only $10 – $15. We recommend poplar for this wooden beer caddy. It’s so easy to work with poplar, and it’s lightweight and reasonably water resistant (for perspiring bottles). It stains really well too. If you want to make your project a little more inexpensive, just use pine. 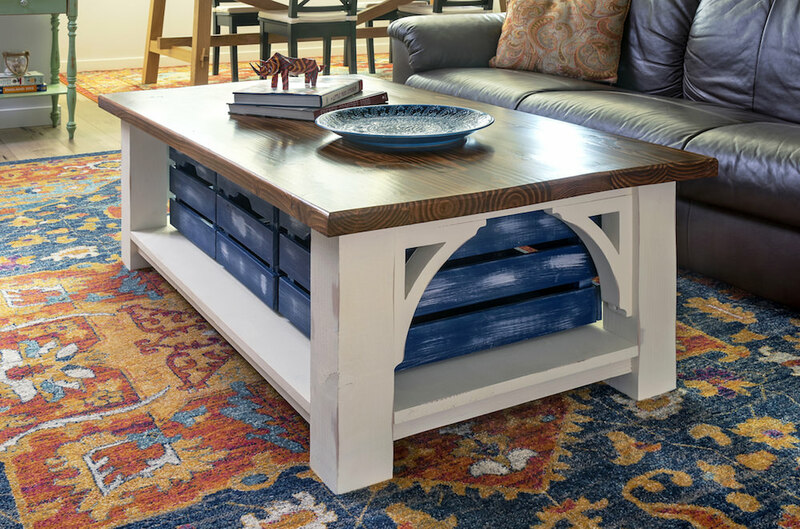 You can really use any type of wood – poplar just happens to be one of our favorites. Are you ready to check out the project tutorial?? Keep reading! Step Two: Shape the handle. You’ll mark the 7 3/4″ x 3″ piece of wood (with a pencil) 1 1/4″ from the top and then 2 1/2″ from each side. Then use your Forstner bit to drill two holes. Connect them with lines at the top and bottom of the circles, then cut those lines with a jigsaw to create a handle. Step Three: Cut the angles. 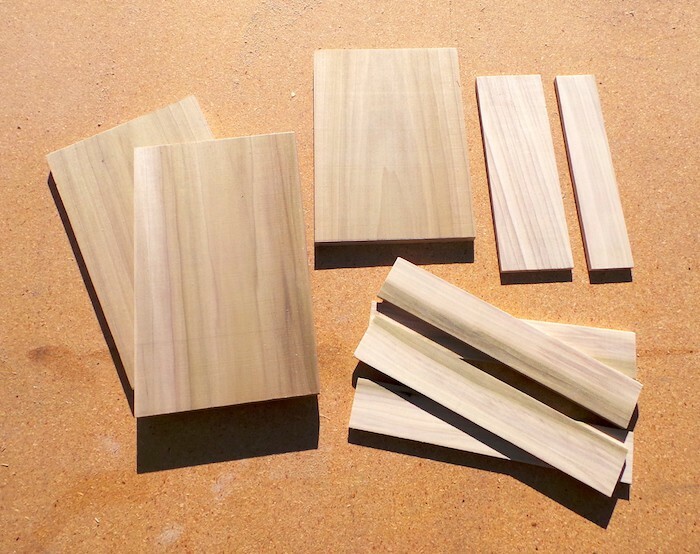 On your 9″ pieces of wood, mark each side 5 1/2″ from the bottom. 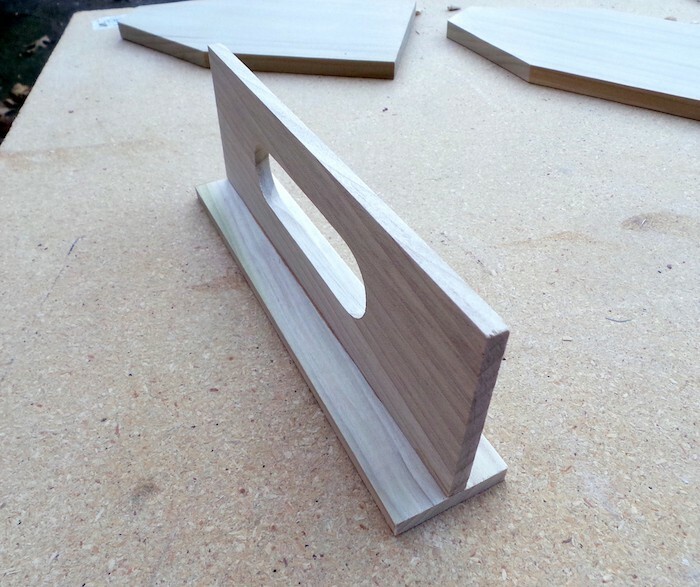 Mark the middle of each piece at the top and use a 1 1/2″ strip to create a point on each side of the middle. Connect those two points with a straight edge and cut the angles with a jigsaw (see above). Step Four: Nail pieces together. Use your brad nailer to completely nail the frame together. Attached the angled sides to the base with wood glue and then secure with the nailer. Align the 7 3/4″ piece on top of the handle. Glue together. Attach the handle to the sides with wood glue and nail into place. Apply wood glue to the 8 3/4″ sides and nail into the place. Step Five: Sand the entire caddy with 80 grit sandpaper to start – then progress to 150 and 220 grit sandpaper to make it very smooth. 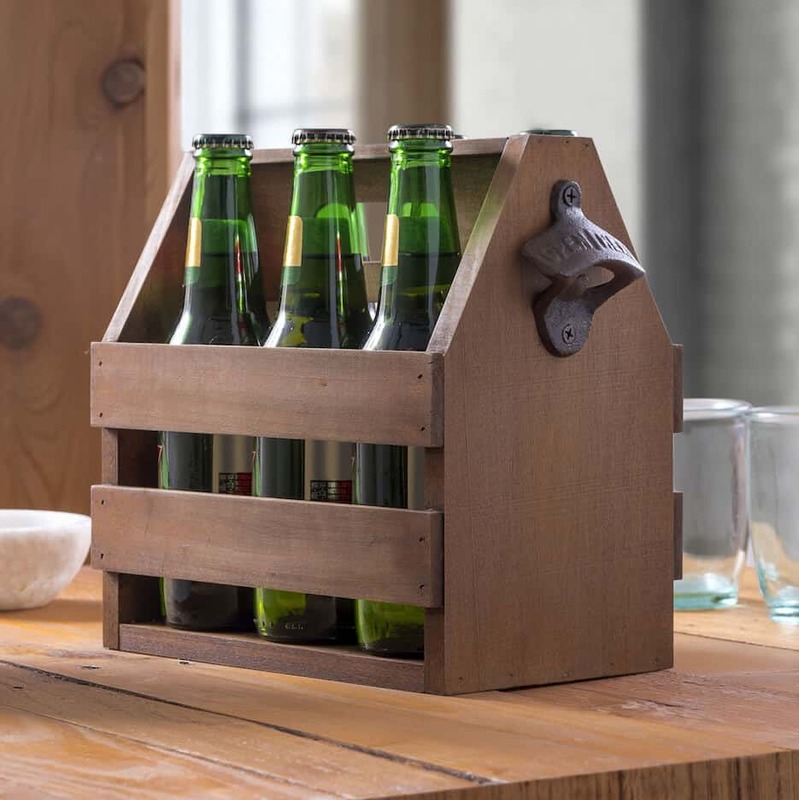 Step 6: Finish by staining or oiling your wooden beer caddy and then adding your bottle opener with screws. We only had silver screws so we touched them up a bit with brown-ish black paint to match. Tip: if you don’t have/want to purchase stain for your beer carrier, just use watered down acrylic paint in a dark color to stain. It works pretty well and is a lot cheaper than buying an entire can of stain if you are only going to make one. We are absolutely thrilled with our finished DIY beer caddy. If you try it, we’d love to hear about your experience in the comments! This is fantastic!!! I can think of so many people who would love one of these for Christmas–thanks for sharing this!! 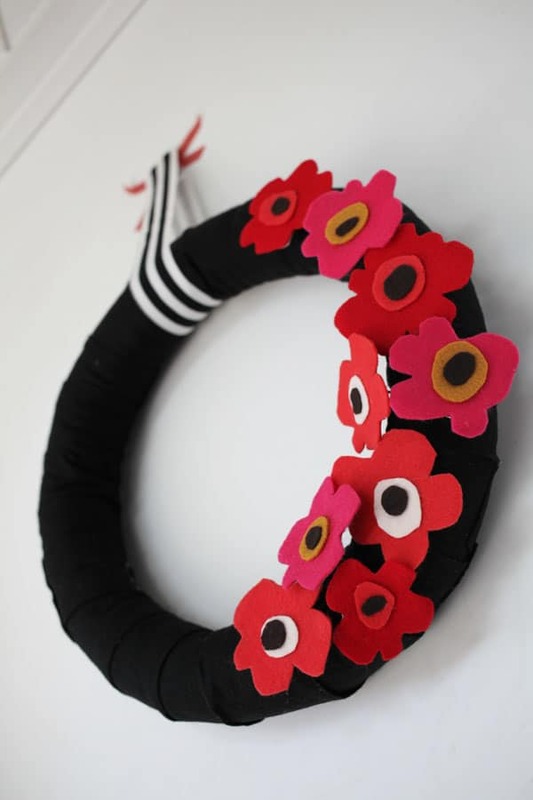 Well….. maybe I CAN make something like this after all! Love this!! Such a cool idea! Love the beer caddie! Definitely going to check out the app — it sounds like it’s really handy! 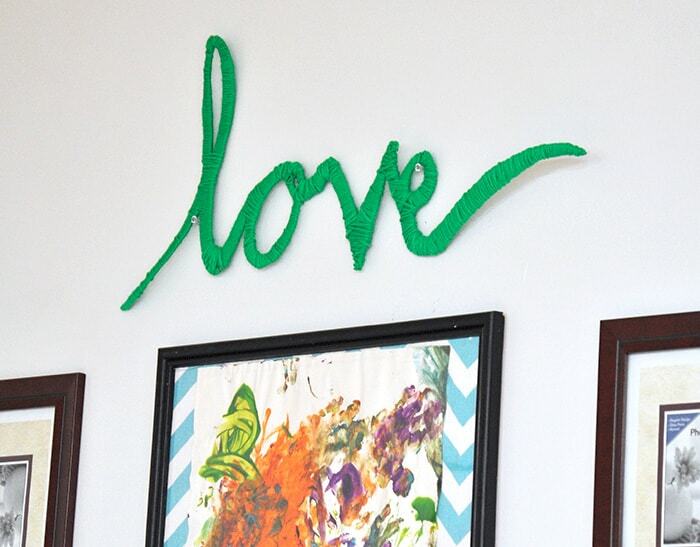 I love this idea and it looks so easy to make! What a great gift idea … I love the idea of filling it with local craft beer! What a great idea for an app! Downloaded – love the caddy. You can’t make this and expect regular 12 oz bottles to fit. When the boards are cut at the factory, they are undersized. i.e., a 2×4 is really 1 1/2″ x 3 1/2″. The 6″ wide board you call for comes out at 5 1/2″, thus make it too narrow for 12 oz bottles. Hi Ken! Ours fits regular 12 oz. bottles just fine so I’m not sure what to say .. .